Steven Spielberg scared swimmers out of the water 35 years ago with a tale of a 25-foot great white shark. “Jaws” remains one of the most frightening movies of all time – especially when seen on a big screen! Unlike many shockers that have been filmed since, this is a beautifully made movie, well-shot, with realistic characters and – dare I say it? – a degree of subtlety! 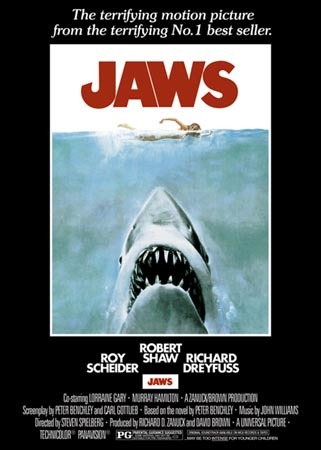 Roy Scheider, Robert Shaw and Richard Dreyfuss excel. “This tale of terror is also a classic adventure saga, ingeniously mounted to evoke our primeval fears,” wrote John Stanley of Creature Features. The folks at Rialto Cinemas have selected the classics with help from members of Friends of the Cerrito Theater. We cordially invite everyone to join us for a terrifying evening! Settle back – if you can! — with a meal, beer or wine or a soft drink and enjoy! And enjoy a trivia contest and prizes before the movie. Thursday, July 8, 9:15 p.m. All seats, $7. Please note the change in time: “Jaws” plays at 9:15! Next up at the Cerrito Classics, Alfred Hitchcock’s “To Catch a Thief,” August 12. 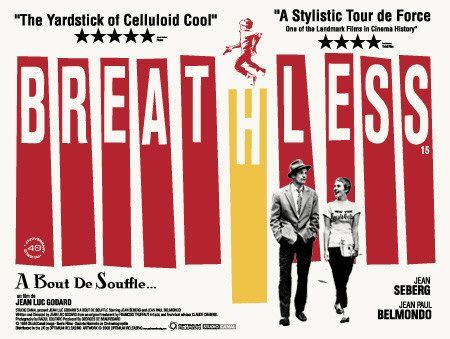 “Breathless” will show July 30 to August 5. Please check the website for movie times: www.rialtocinemas.com. Also coming up in July, the Cerrito will host the latest production of the National Theatre Live, “London Assurance,” set in the courts and country halls of 19th century England. Featuring Dickensian characters and Shakespearean disguises, the twists and turns will keep you laughing out loud. “London Assurance” plays Monday, July 19th and Wednesday, July 21 at 7 p.m. Order tickets online at www.rialtocinermas.com, or call TIX (800) 595-4849.